"Spice", also known as K2, is a blend of herbs and spices that can give people a dangerous high, the mixture is usually sprayed with a synthetic compound chemically similar to THC, one of the psychoactive ingredients in marijuana; however, spice is much more dangerous than marijuana and in some cases has driven people to suicide. According to officials, seven midshipmen were expelled from the Naval Academy for using "spice" which violated the Navy's policies on drug use. The midshipmen were "separated from the Naval Academy" as of Thursday, said Cmdr. Joe Carpenter, spokesman for the academy. "While we will not go into the details of individual cases, the violations of the Navy's substance abuse policies included use and possession," Carpenter said in a statement. 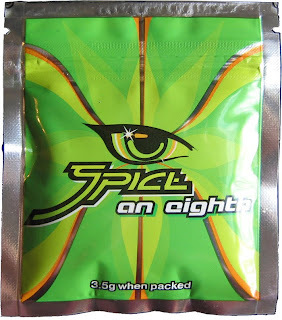 "These cases involved 'spice,' which is considered a banned substance by the departments of Defense and Navy." The future of the Naval Academy's students is uncertain, but, they may be forced to pay back the cost of their education which under normal circumstances would be free of charge. The problem with a drug like spice is that it has not been outlawed in the United States at this time, despite the reports of how dangerous it can be; some European countries have outlawed the drug, but, the key ingredients of the drug are not regulated in the United States. "K2 is commonly purchased in head shops, tobacco shops, various retail outlets and over the Internet," the DEA said. "It is often marketed as incense or 'fake weed.'" While the drug may have similar effects to marijuana it also has some other tricks that marijuana does not have. "Spice" has been known to cause severe depression and led people in to a form of psychosis, remember sometimes the final effect of the drug drives people to suicide.